In a crowd that consisted of big league titles such as Watch Dogs, The Last of Us, and Assassins’s Creed IV: Black Flag, developer Deep Silver managed to garner some buzz at this year’s PAX East show–bringing its survival horror successor, Dead Island Riptide, to the gaming expo. While fans of the series flocked to the company’s booth for some hands-on time with the title, we grabbed some camera time with Creative Producer Sebastian Reichert to discuss some of the game’s latest upgrades: including multiplayer, campaign length, and new gameplay actions. Thought the carnage and mayhem in the first one was insane? Ha. Get a load of this game. 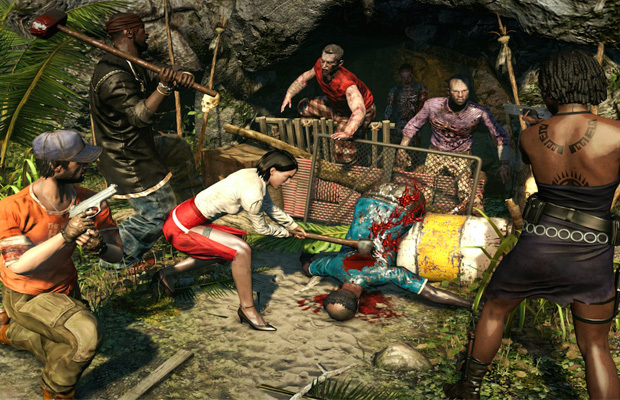 Watch our exclusive Dead Island Riptide preview from PAX East 2013.